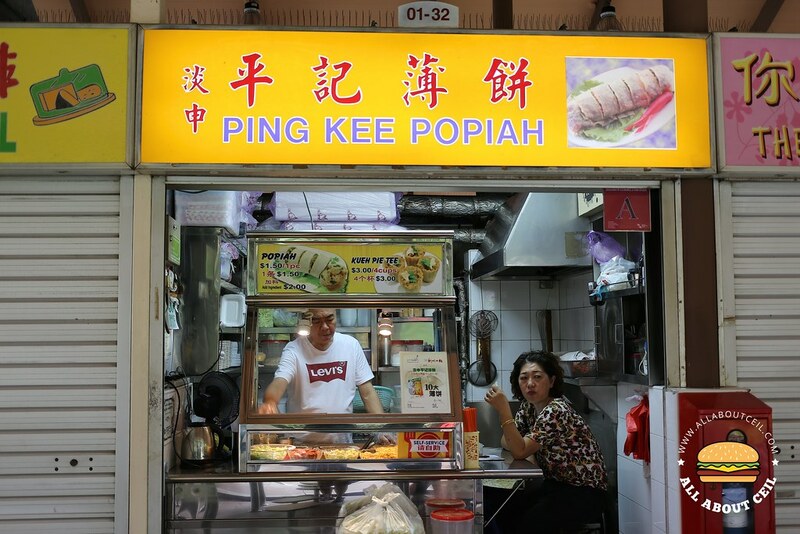 This stall has been in this food centre for the longest time, it is manned by a friendly couple and they are only serving Popiah. It used to be cheaper but it is at $1.50 for each piece and $2.00 with added ingredients. There is another stall by the same name at Jalan Berseh Food Centre manned by the third brother of the stall owner. The smiling Auntie is always the one taking the order and her husband is making it. It was not as crowded as expected even during lunch. The ingredients used were really fresh. The braised turnip was nicely seasoned with a rather light flavor and served along with a handful of crunchy beansprouts, thin slices of chinese sausage, eggs, grounded peanuts and some crunchy bits. I asked for extra chilli to be added but the level of spiciness was still quite mild. 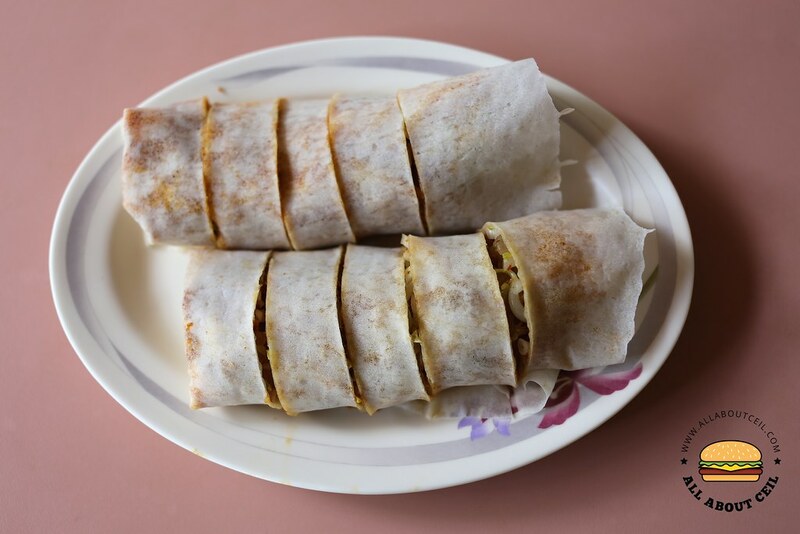 The wrapper was soft but a bit thick and it turned a little dry when left it for too long, though thick but it is able to hold the ingredients firmly without breaking apart too easily when picking up with chopsticks. 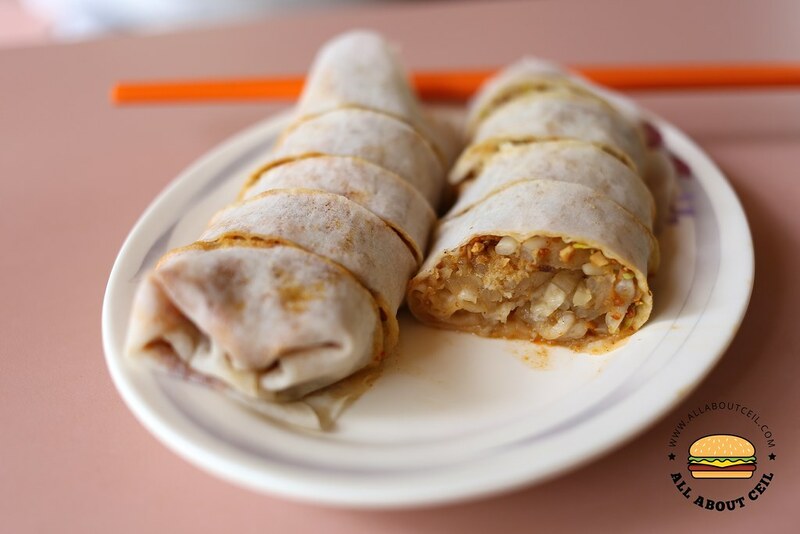 It might not be the best Popiah in town but it has a simple and comforting taste that most of their regular customers would have agreed. 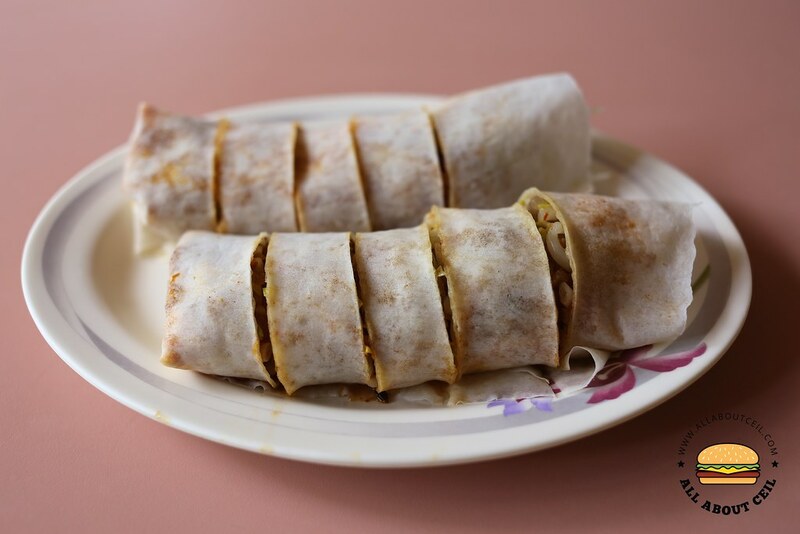 Most importantly, the taste has been consistent for the past 30 years or so, this is definitely amongst the better ones if it is not the best in Thomson and Sembawang area.